I sense that they looking forward to a life of . . . The photo is framed with large Clock #2. I created texture with extra thick gesso that I tamped with a stencil brush. Once dry I painted with metallic gold paint. 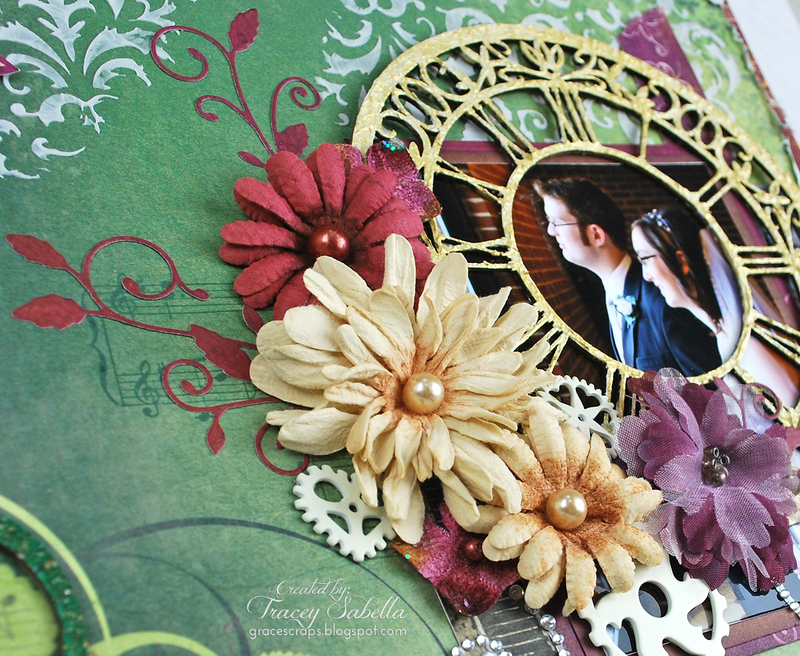 I clustered with flowers, metal heart gears, bling, and die cut leaves. 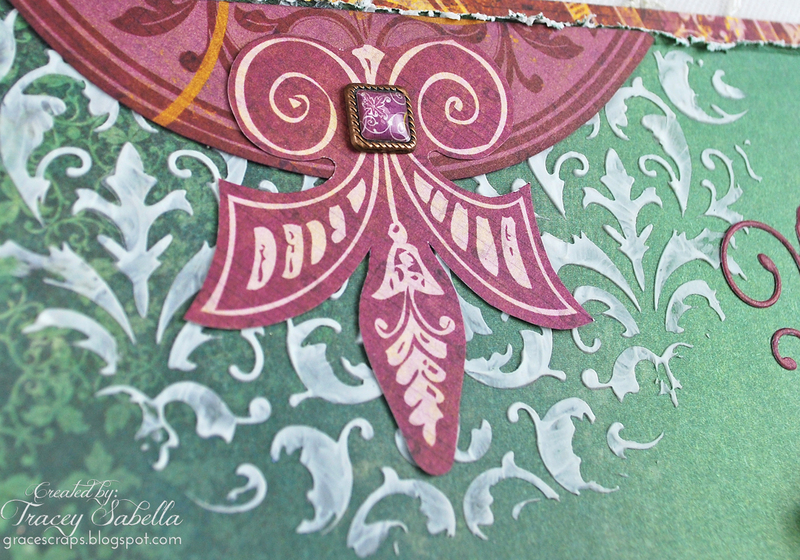 I've also added some stamping and stenciled molding paste to the background. 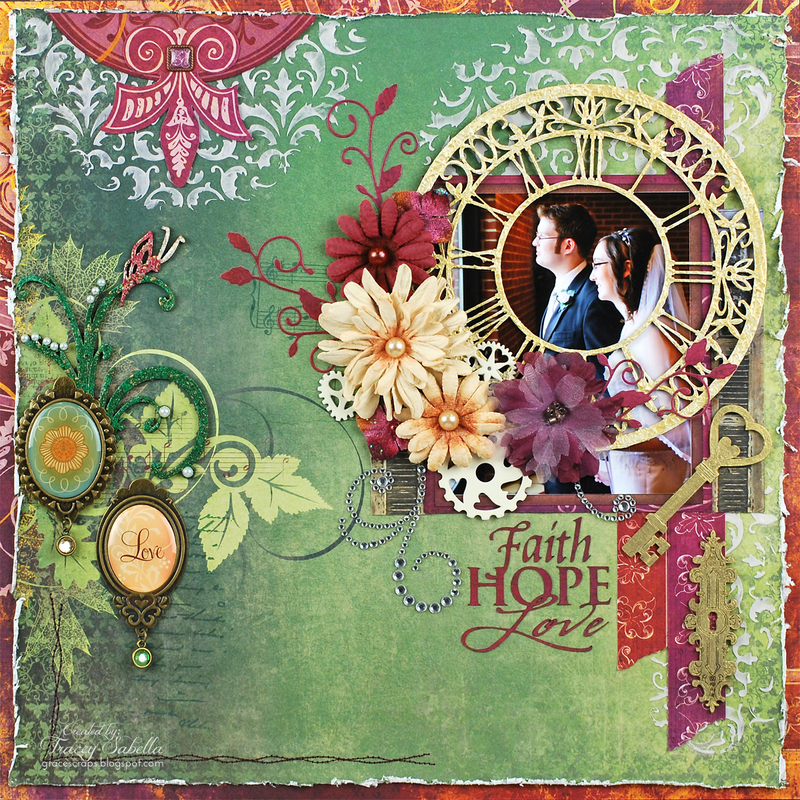 The Leaky Shed Studio Butterfly Garden Spring fits this background design so perfectly!! 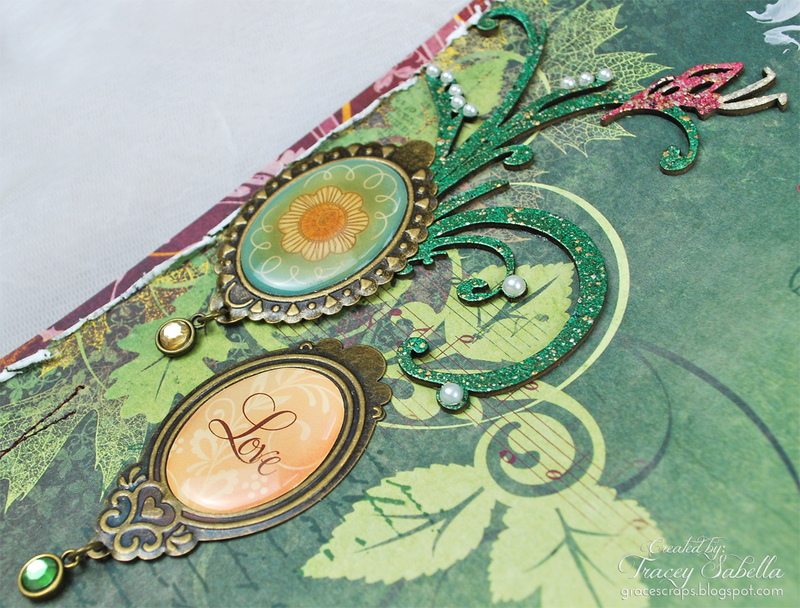 I heat embossed the flourish with red and green Fran-tage Embossing powder, then embellished with self-adhesive pearls. 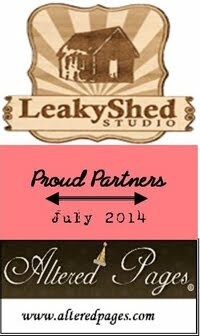 The Leaky Shed Studio Heart Key and Fancy Keyhole represent how these two hold the key to the other's heart. 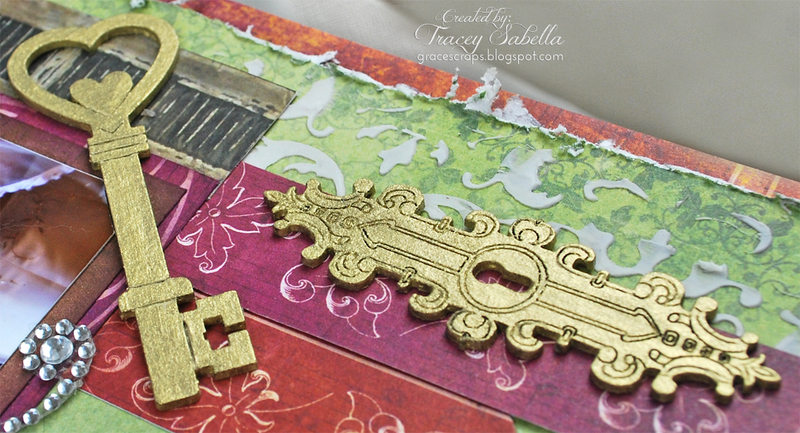 A simply coat of gold metallic paint gives them an easy gilded finish. 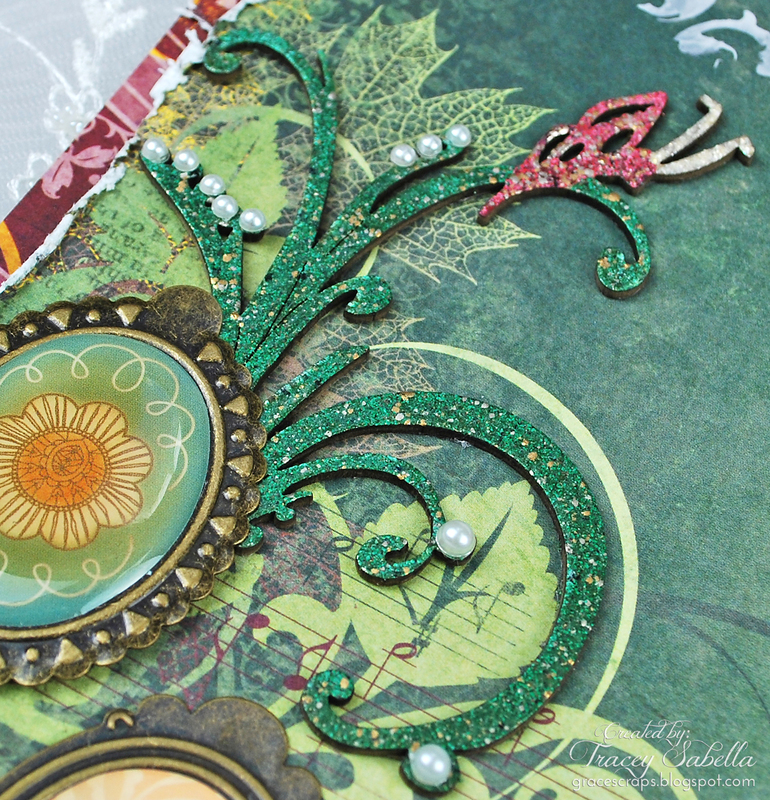 I fussy cut these pieces from coordinating paper to created this layered medallion. 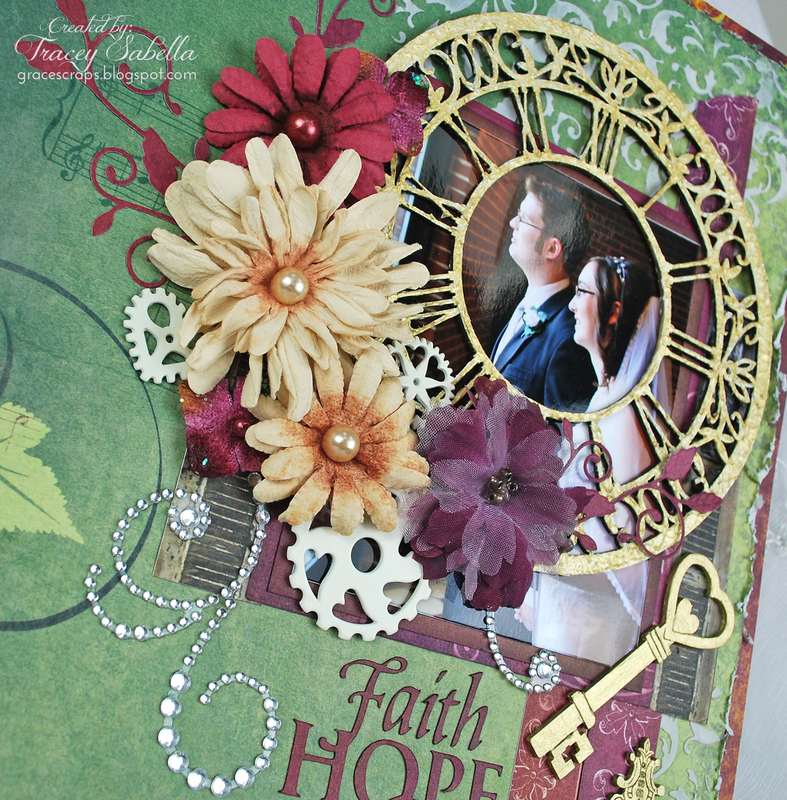 The layout edges are distressed and the bottom corner has some machine stitching. Other products can be found on my blog, Garden of Grace.